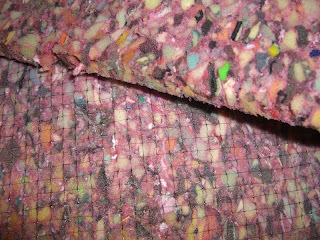 This project only took an afternoon - a few hours, really, not counting picking up materials - making me wish I hadn't put it off for so long under the assumption it would take forever. 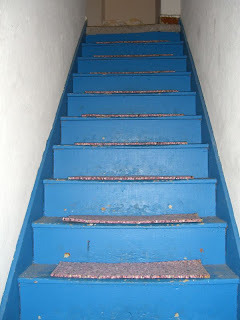 Like so many other things in my house, such as that bathroom rewiring project, or learning Spanish. Learn from my mistakes/laziness and, if you have a set of bare wooden stairs of your own, don't wait to get them covered with a runner. 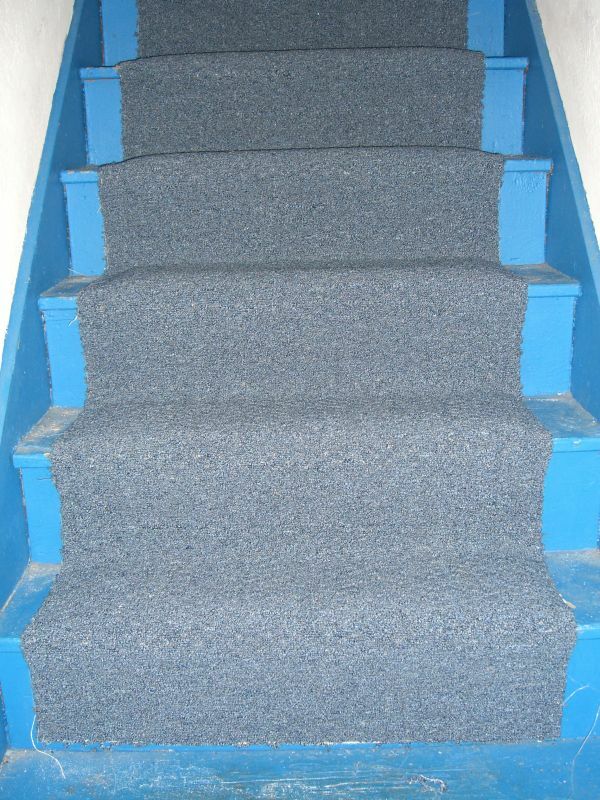 It reduces noise by a ton and cuts down on wear to boot. 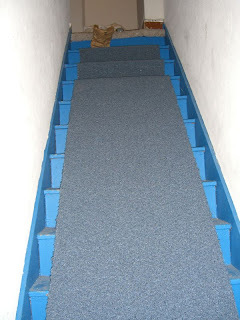 A note on amounts - the way I did this project, I only put padding on the stair treads, not underneath all the carpet, not even on the risers which some online plans suggest. 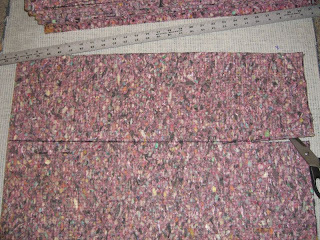 As a result, I had bought enough carpet padding to go beneath the total square footage of the carpet runner, but wound up using less than half of it. 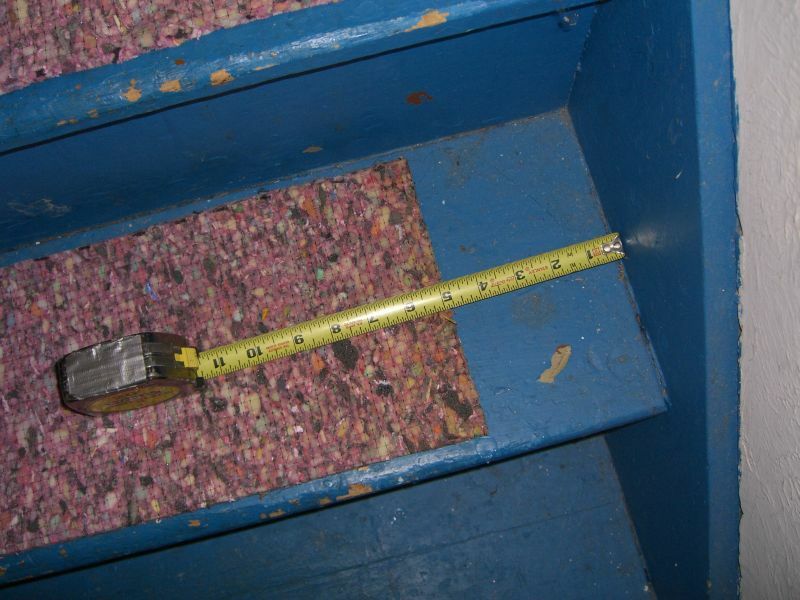 To follow these plans, you're only cutting out rectangles that are roughly the depth of the tread minus one inch and the width of the *carpet* minus two inches. 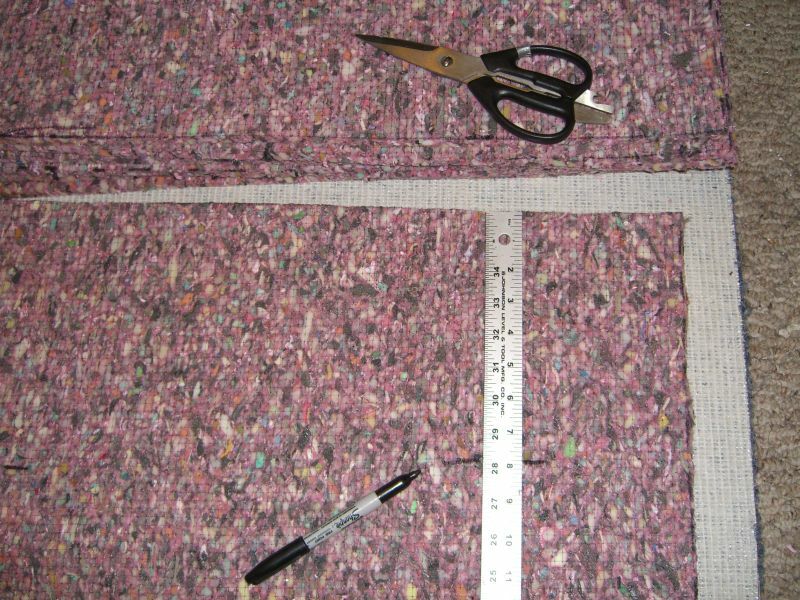 You might consider buying less padding as a result. 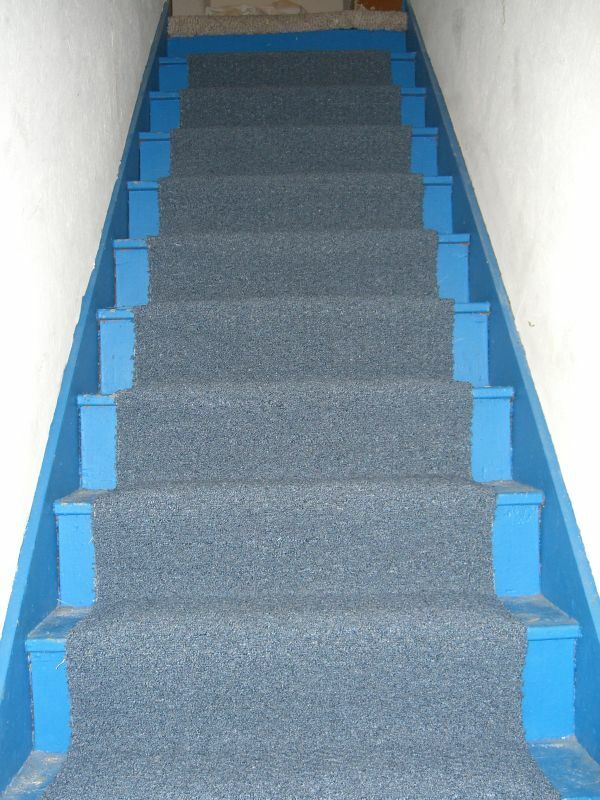 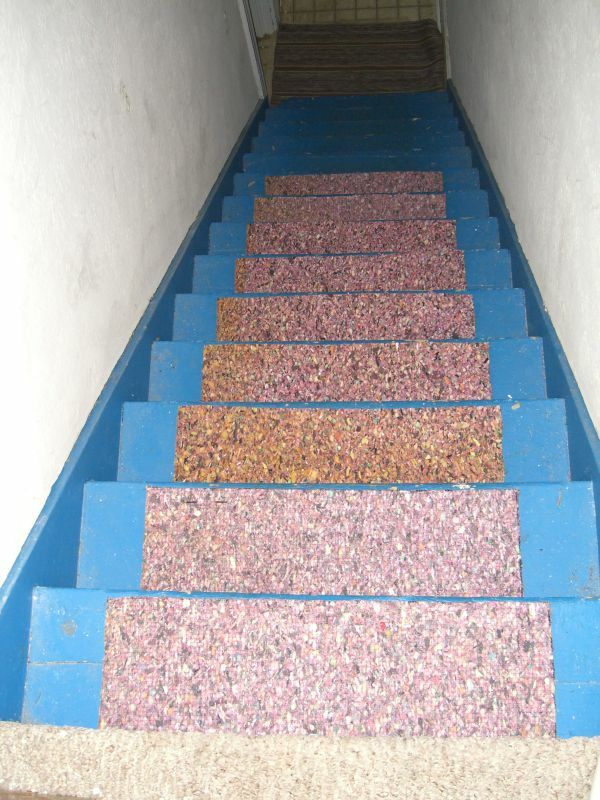 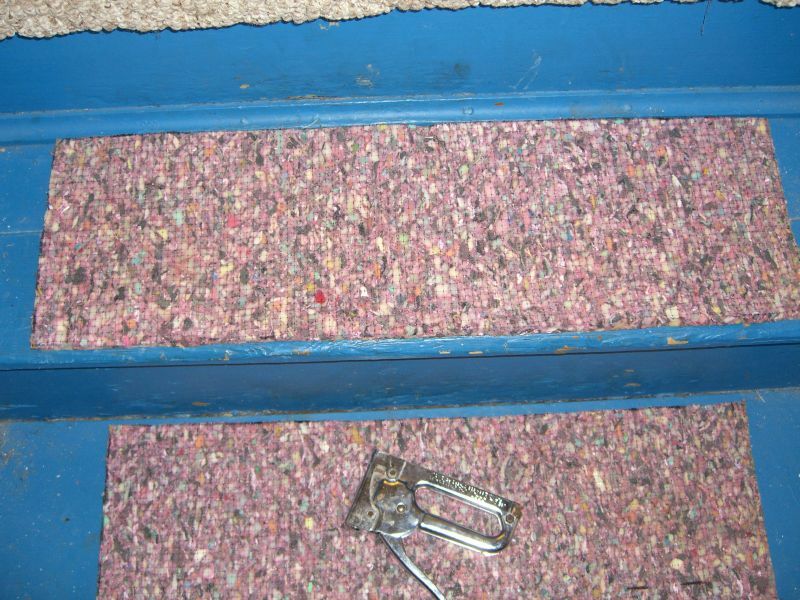 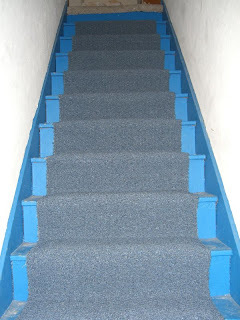 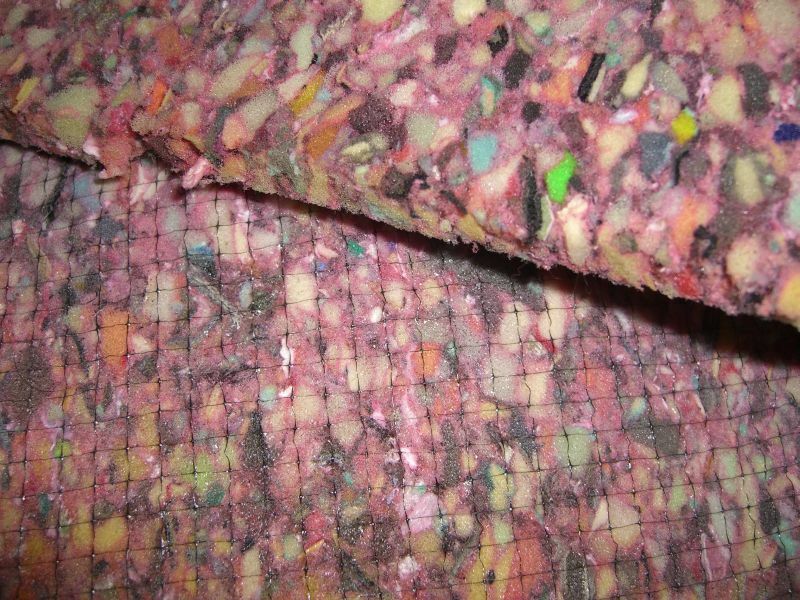 Next came the part where I learned why most online guides to carpeting stairs encourage you to have some specialized tools, like knee kickers and stair tools. 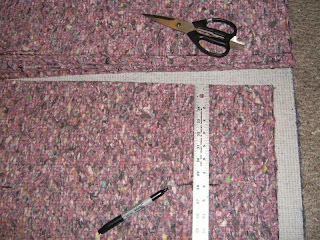 This project is far from impossible to complete without them, but it likely would have gone much quicker with them. 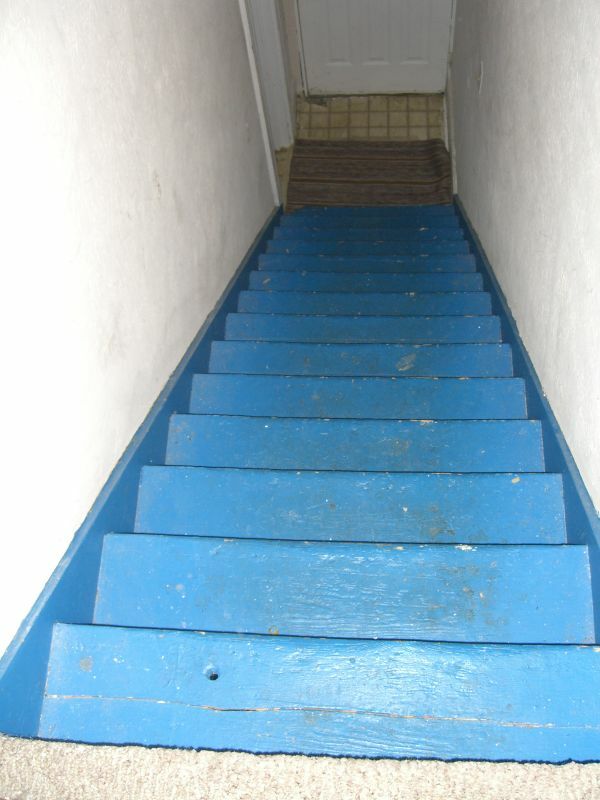 It also might have gone faster with a partner, but the wrong pair could just as easily get in each other's way. 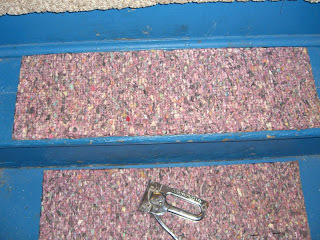 Again, I did this myself with just a hammer and tacks, and it's holding up fine. 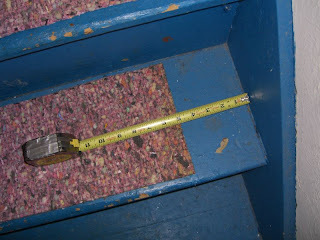 One other note - keep all the nails to the edges of the carpet. 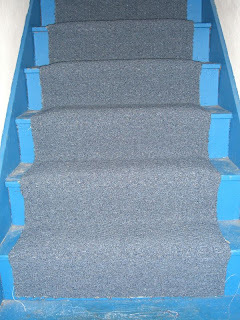 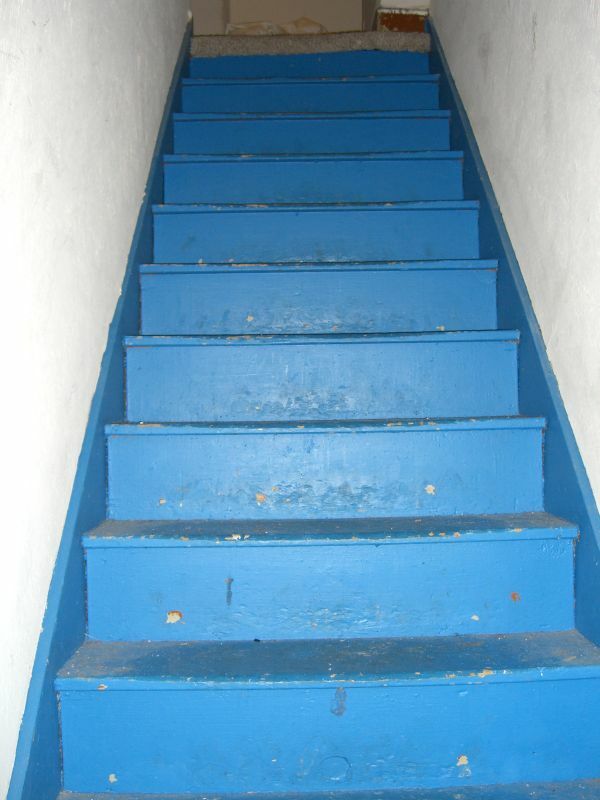 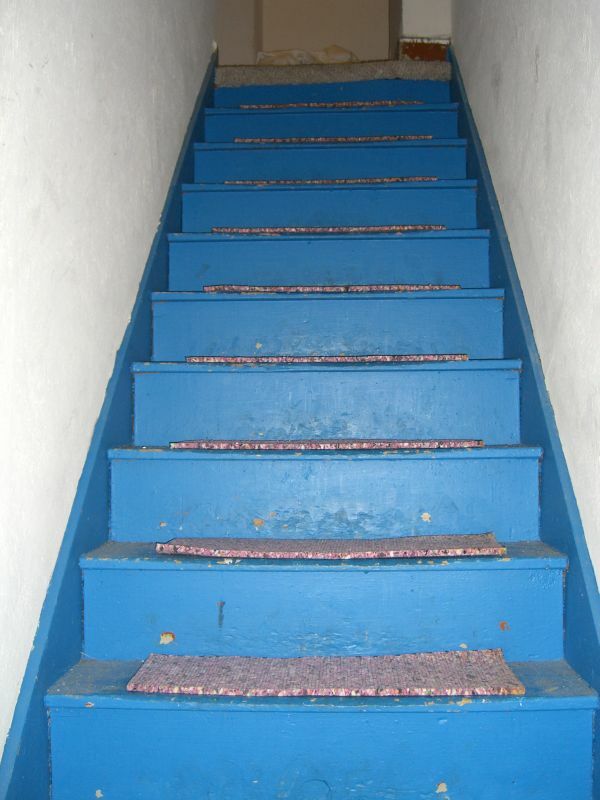 The padding should already be affixed to the stairs, so worry about keeping the carpet from moving - and avoiding any partially sunk nails in areas where feet are more likely to fall.